It would be nice if all your vacations took place in destinations with 75-degree weather, but for those real-life trips that happen in the heat, here’s the best active gear that will help keep you cool and get you out there. 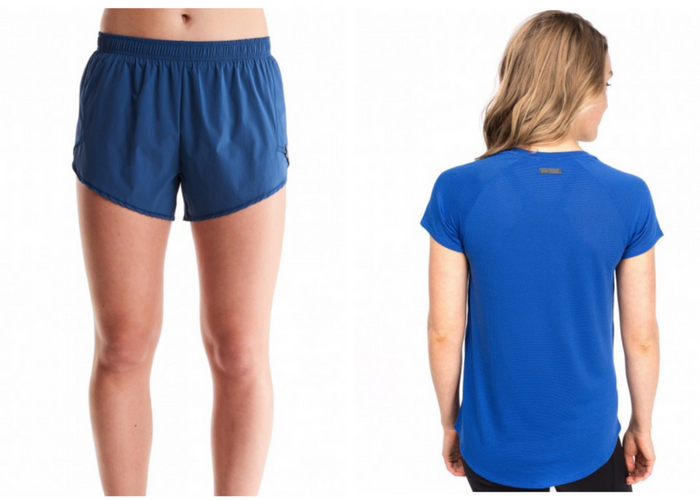 Women runners, this is your perfect hot weather outfit: Oiselle’s Flyout Short Sleeve Shirt, Flyout Shorts, and Spandos Racerback Bra. The shirt is made from a HoverFit fabric that feels like it’s hovering over your skin rather than touching it—ideal for sweaty workouts. It wicks away sweat to help keep you cool, and has a flattering cut. The shorts have a rear zip pocket to hold your essentials securely, as well as an interior drawcord to get them to fit just right. The fabric is super light and has a side semi-split that lets you move in all directions. The bra is tagless to prevent irritation, and manages to be supportive and compressive without adding extra weight or bulk. 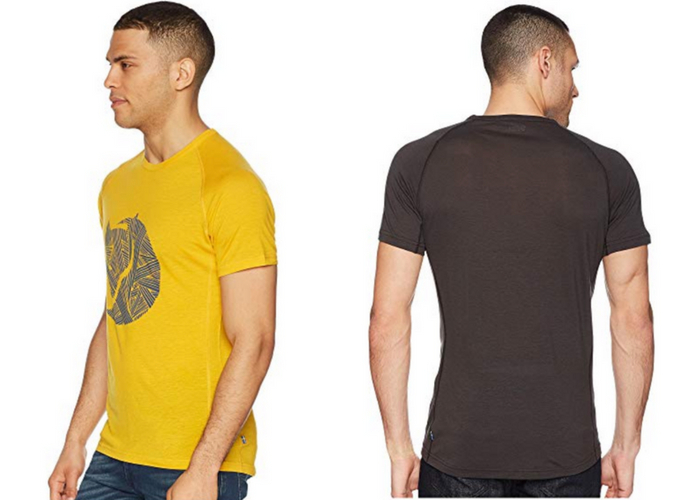 Outdoor Research’s Echo Tee (men’s version available here) is my favorite hiking shirt. 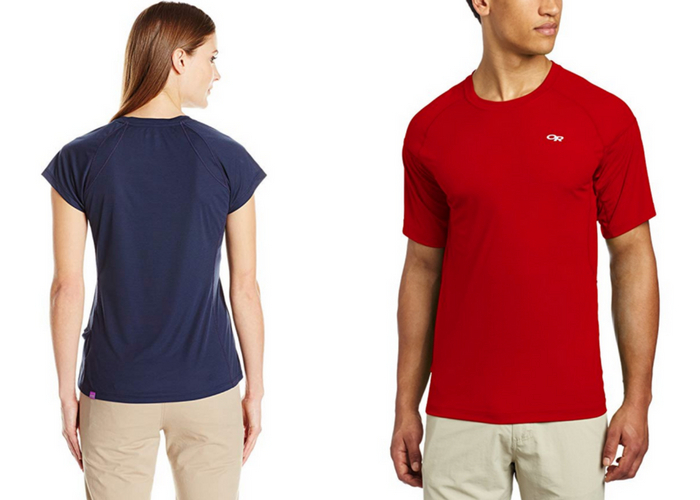 It’s lightweight and has a higher neck and short sleeves for better sun coverage (and has built-in UPF 15). The short sleeves are great for carrying a backpack, as it prevents the straps from irritating shoulder skin, which can be a problem with tank tops. The flat-seam construction also prevents any chafing. I also love how breathable it is, due to the trademarked AirVent fabric. I top it off with Outdoor Research’s unisex Throttle Cap, a super-stylish hat that packs down small and performs beautifully in hot weather. Lululemon’s Swiftly Tech Racerback is the tank top you should wear when you want to feel like you’re wearing nothing at all. It’s the best active gear for really hot trips, thanks to its patented Silverscent technology that prevents odor-causing bacteria from forming (so you can wear it multiple times per vacation). The Metal Vent Tech Tank is a similar option for men, that uses the same technology. 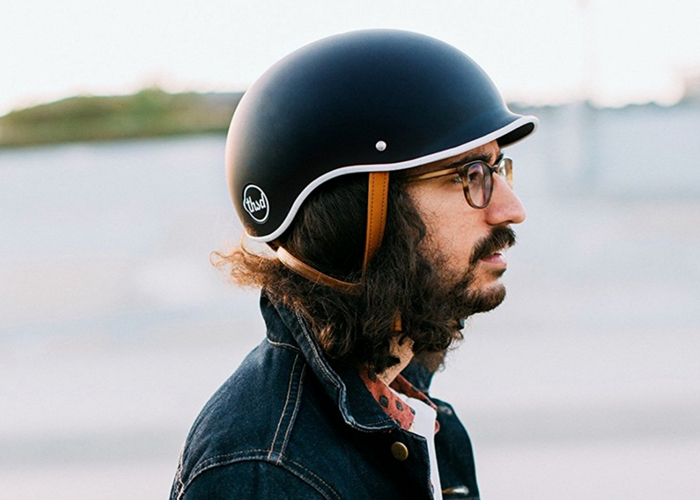 I love to explore new cities by bike, but I hate having to carry around a helmet when I’m not riding, and I don’t want sweaty hair on hot days. The Thousand Helmet takes away all excuses—it’s lightweight (the small size weighs just over 14 ounces) and has seven vents and three cooling channels to keep your head dry. Best of all? You can actually lock the Thousand Helmet to your bike—it has a unique secret pop lock (you’d never notice it on the helmet if you didn’t know it was there) that allows you to thread your U-Lock or chain through to secure it. Unlike pretty much every other helmet on the market, the Thousand Helmet is actually stylish, so you won’t mind wearing one. I tried out the Heritage Collection in a classic navy and felt much less conspicuous wearing it than my normal bulky bike helmet. Fjallraven’s Abisko Trail T-Shirt is my favorite multi-purpose shirt to pack (see the men’s version here). Unlike most performance active gear, it looks like a normal t-shirt and has a really cool fox design on the front. You’d never guess it’s made from an ultra-functional wool and tencel blend that you could wear hiking or running. The women’s version has a slim, flattering cut, so it won’t look out of place paired with shorts or a skirt. When you’re traveling solo, applying sunscreen to your back and shoulders can be tough. 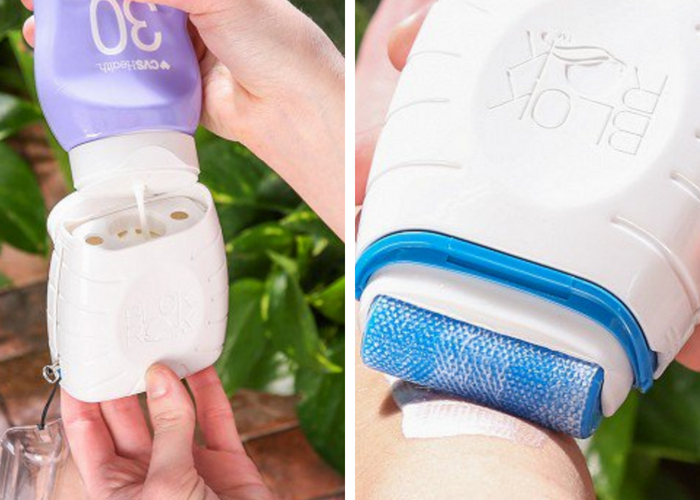 Pack the BlokRok, a unique roller that allows you to evenly apply lotion everywhere. Fill it up with your own sunscreen and simply roll it on—no more greasy hands or missed spots. The best active gear for your feet in hot weather is made of a wool blend, as it’s the best at wicking away moisture and preventing blisters. 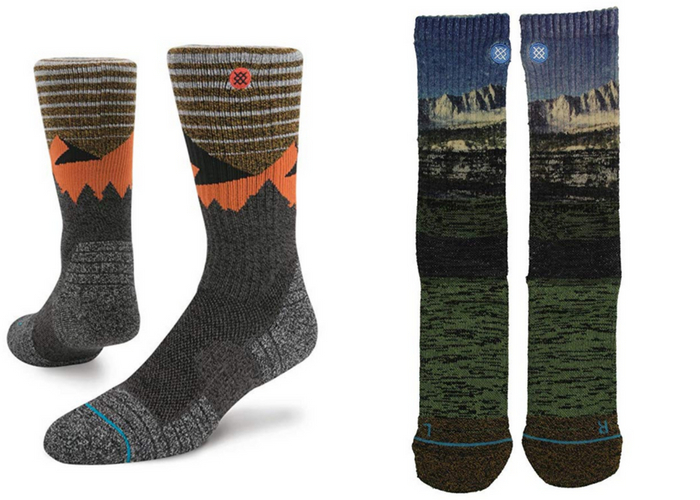 I love the natural wool fusion blend that Stance’s Adventure Socks use, which doesn’t get too hot and is great for hiking. The taller length is ideal for tick and mosquito season, as it protects ankles from bites. Top off your active gear outfit with a hat to give your face extra shade. I like Headsweat’s Vitamin Sea Trucker Hat, which has a cool design on the front and a vented sides to let air in. A terry sweatband is hidden on the inside to help absorb sweat, and the snap back closure can fit any size head (and any style ponytail). A good sports bra is hard to find, but SheFit nails it. The Ultimate Sports Bra has customizable straps for the perfect fit, plus a front zipper closure and back Velcro strap that are easy to take off no matter how sweaty you are. The performance wicking fibers keep you dry, and the design really does restrict unwanted movement and bounce. 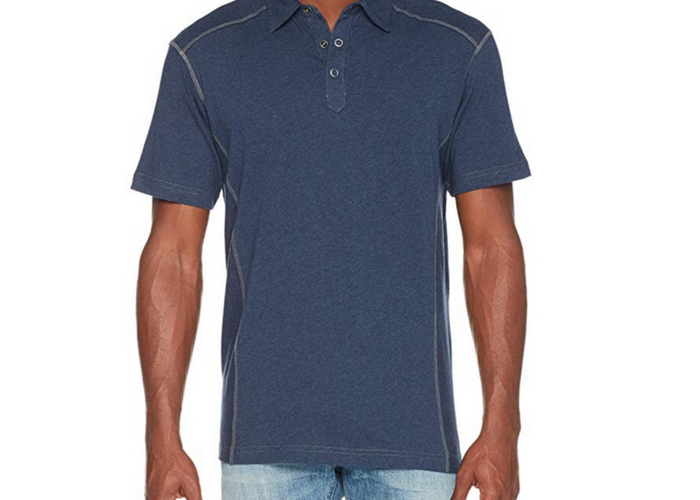 The Ecoths Beck Polo shirt is made from a 100 percent organic cotton that breathes really well even in humid conditions. This is a stylish option that you can wear on the plane or walking around town on a hot day. It’s machine washable, so you have to don’t worry about how much you sweat in it. Caroline Morse Teel always packs active gear and running shoes on her trips. Follow Caroline on Instagram @TravelWithCaroline for photos from around the world.